The world’s leading conservation organization, WWF's mission is to conserve nature and reduce the most pressing threats to the diversity of life on Earth. 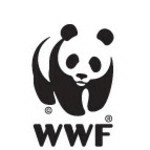 For over 50 years, WWF has been protecting the future of nature. By 2020, WWF will conserve many of the world’s most ecologically important regions. Sign up for WWF's monthly e-newsletter full of conservation updates! It's the Chinese Year of the Tiger!